As much as I like to cook, I don’t always have time to make a delicious dinner from scratch. Judging from the popularity of the 20- and 30-minute meal cookbooks, I’m not the only person with this problem. 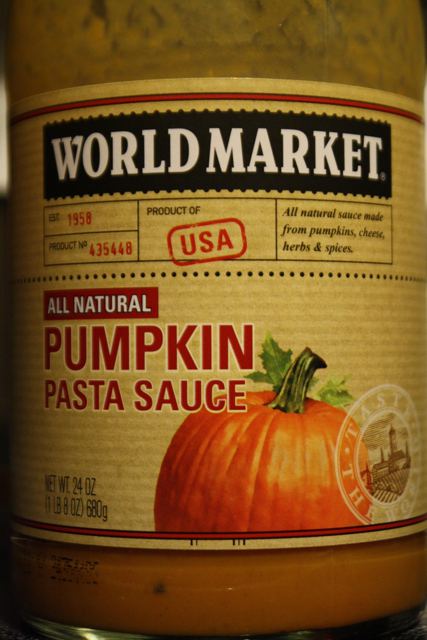 When I came across pumpkin pasta sauce at World Market, I bought it thinking I’d find someway to use it. 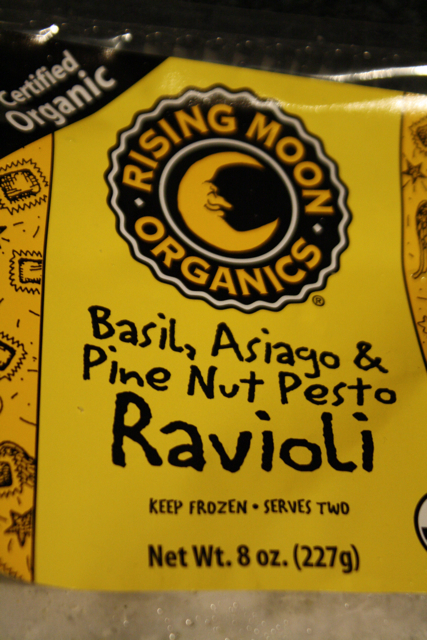 A few days later I came across Rising Moon Organic Basil, Asiago & Pine Nut Ravioli in the freezer section at Publix and thought it would pair perfectly with the pumpkin sauce. 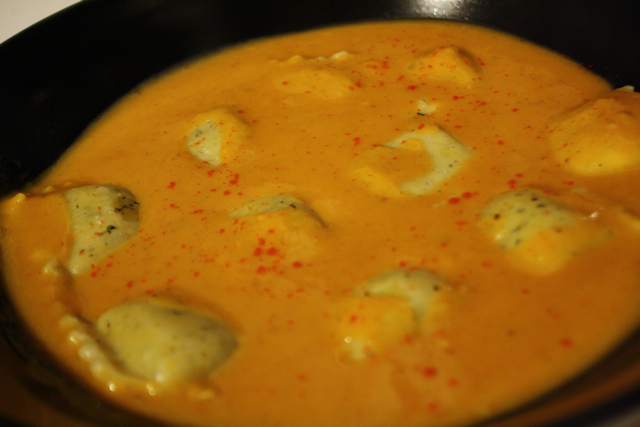 For a quick meal one night, I heated up the pumpkin pasta sauce with a pinch of dried sage, served over the boiled ravioli, and garnished with a sprinkle of smoked paprika. Although pumpkin can sometimes be sweet, this pasta sauce was light and savory. The ravioli was tender with a creamy filling. The asiago cheese and the pine nut pesto in the ravioli really complemented the pumpkin sauce. While Jill and I both agreed that we prefer a hearty tomato sauce with chunks of vegetables, the pumpkin sauce was a nice, seasonally appropriate change of pace.